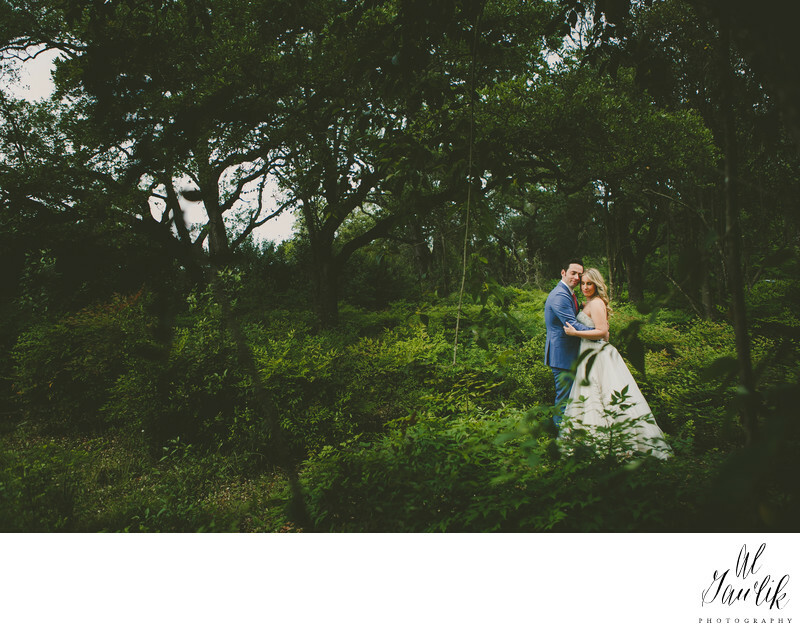 AL Gawlik photography is a a story teller, and a wedding photographer in and around Austin, Texas. Here she finds a spot of light deep in the woods to capture the bride and groom minutes after the wedding ceremony. The deep and dark colors of the plants and the trees accentuate the couple in this relaxing and intimate wedding portrait in the woods.